Union Chapel is a working Church, an award winning venue and a homelessness project, set up to make the facilites available to a diverse group of people. 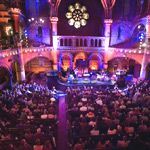 Do you work at Union Chapel? 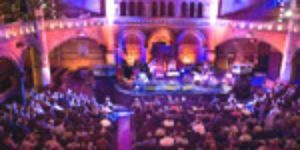 What did you think of Union Chapel? I love this place! Evening concerts are always so special in the beautiful gothic auditorium, surrounded by fairy lights and a cup of hot chocolate. Saturday afternoon free concerts are great too with yummy cakes made and sold by the chapel's Margins project in support of marginalized people.